TheBlueGuerilla: EXCLUSIVE: Cooper 'Will' Run For Top Job at Bow Group. EXCLUSIVE: Cooper 'Will' Run For Top Job at Bow Group. 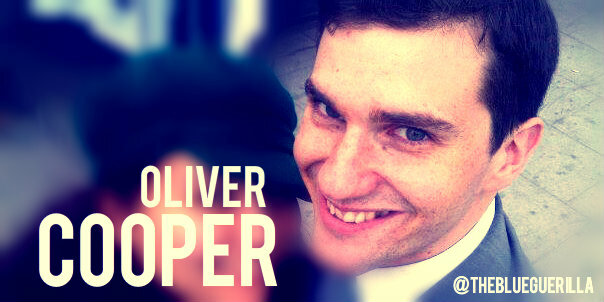 FORMER Conservative Future (CF) Chairman Oliver Cooper "WILL" run for Chairman of troubled right-wing think-tank Bow Group, according to Tory Party insiders, TBG can reveal. Ben Harris-Quinney, who according to Lord Michael Heseltine was "destroyed" recently on the Daily Politics, has been in post for the last four years and his position is now said to be "shaky at best". A source said: "Cooper has been buoyed by support since rumours of a bid were reported and I think he will run for Chairman of this great institution." Another source recently told The Commentator: "He’s (Cooper) a paid up member of the Conservative Party and will ensure the Bow Group is returned to its former glory."